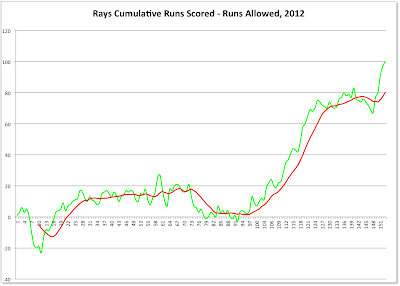 Thought I’d take a break from looking back at the Bulls and look forward at the Rays. 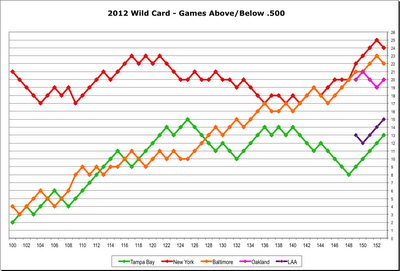 As readers know, I think that charting games above/below .500 is an interesting way to look at teams across time. 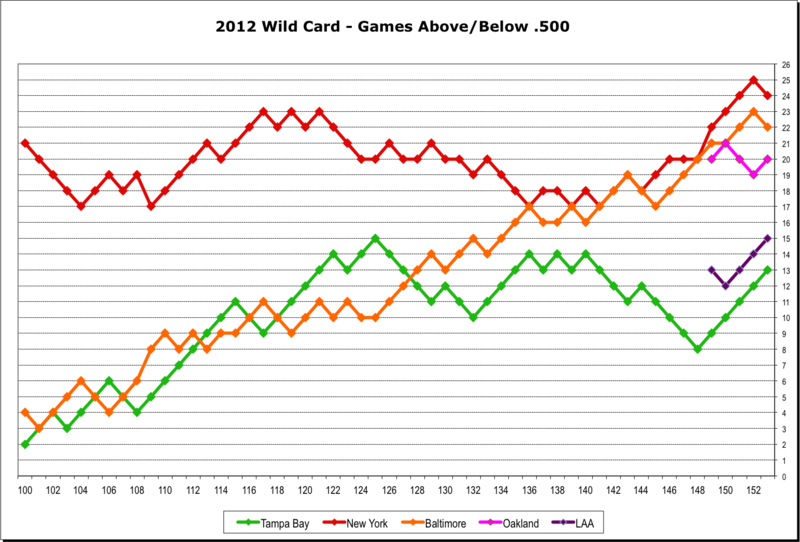 This chart shows the American League wild card race (with the Yankees thrown in for good measure. The AL East teams are plotted since the All-Star break. Angels and Athletics are just shown for the last couple of days. Comparing two teams, each game difference amounts to a 1/2 game in the standings. The Rays are now one game back of the Angels. They will need to catch up with either Oakland or Baltimore to reach the playoffs. Regular readers will also know of my interest in the runs scored/runs allowed metric. 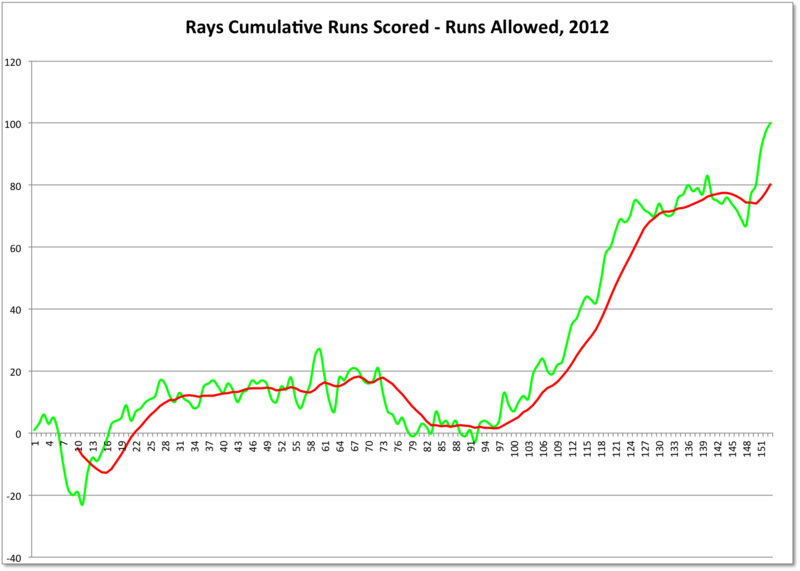 On that measure the Rays have been booming recently. Unfortunately for them, the Orioles don’t seem to care about that metric. They are at a -6 and still solidly ahead of the Rays, who are at a +102 level, well ahead of Oakland (+73) or LA (+81). So this chart may not pass the “so what?” test, but it’s pretty anyhow. The red trend line is a 10 game moving average.